I lead a pretty active lifestyle. I lift weights, I love hiking, and I make it to the occasional yoga class (but, please, no hot yoga—I tried it once, and never again). I also make an effort to eat at least a couple of vegetables every day. I drink my three liters of water. I’ve embraced kale. Like most people, I care about my health, and I try to make it a priority. So, the idea of corporate wellness programs is incredibly appealing. I mean, lunchtime yoga? Perks for healthy habits? Sign me up. I’m not alone—in the 21st century, workplaces that merely ask employees to punch a clock just aren’t cutting it. Not only do we want a workplace with a strong company culture, we want workplaces that work with us. We want workplaces that care about us as individuals, that have a vested interest in our health and wellbeing. Plus, business owners want healthy employees (read: less sick days) who will stay with a company and give it their all. Here’s where employee wellness programs come in. Wellness programs are more popular than ever, with more than two-thirds of U.S. employers currently offering some kind of wellness program. With rising insurance costs and our growing concerns for health in general, their popularity is no huge surprise. It seems like a wonderful idea: The employer offers incentives for employees who attempt to maintain a healthy lifestyle, and both the employer and the employee reap the rewards. But, what’s the real return on investment? What is the actual impact of wellness programs, both on employee health, your company culture, and on your business’s bottom line? Are wellness programs even effective, or are they a total waste of your time and money? First of all—what is a “wellness program,” really? If it sounds like a vague concept, that’s because it is—a wellness program is what the employer makes it. There aren’t any hard and fast rules. So, wellness programs are organized by an employer and offer employees benefits for living a healthy lifestyle and doing their part to prevent future health issues. No beating around the bush—this really is the million dollar question. Wellness programs are a great idea, but do they actually work? The results vary. On the one hand, sterling examples like the one provided by Johnson & Johnson seem to indicate that wellness programs can be highly successful—the company estimates that it has saved $250 million on health care costs over the last decade. However, not every wellness program outcome seems to paint such a nice picture. The research on the subject indicates that the average cost savings are negligible. So, that begs the question—what is going wrong? Why are these programs, which sound like a great idea in theory, so effective for some companies, and not so much for others? And, more practically, what can employers who wish to offer wellness programs do to maximize the effectiveness of their programs? Communication is key to a wellness program that works. It’s pretty obvious—you need to know something exists to take part in it. However, a surprising reason for lack of employee engagement in wellness programs? Employees simply don’t know they’re even offered. A recent RAND Corporation study found that while 85 percent of U.S. employers with 1,000 employees or more offered some form of wellness program, only 60 percent of employees at these companies were even aware that the program existed. Furthermore, of this 60 percent who knew that a wellness program was an option, only 40 percent actually participated in it. How can you use this information to make your wellness program more effective? 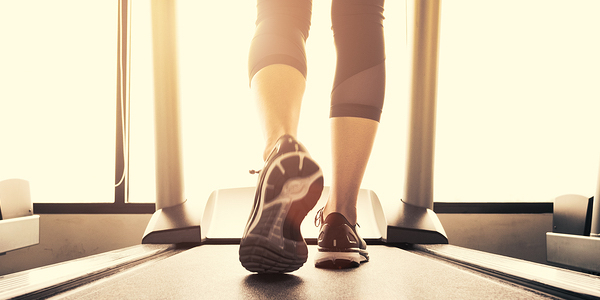 When it comes to wellness programs, people prefer positive incentives. It’s not surprising; would you prefer to be rewarded for good behavior, or punished for failing to meet a standard? If you picked the first, you’re like me—and the research agrees. Heavy-handed, punishing, mandatory wellness programs are common reasons for employee dissatisfaction. While some employers motivate with incentives (i.e., the dangling carrot), other wellness initiatives motivate with the stick, and penalize employees for failing to live up to certain health requirements. This includes such penalties as charging individuals who smoke or have a higher BMI (body mass index) more on their health insurance. Wellness initiatives that are more focused on penalizing noncompliance are generally less successful overall, as employees prefer programs that work with them, rather than against them. For example, before Lowes initiated their tobacco-free policy in 2015, they gave employees plenty of advance warning—years, in fact. In the early 2000s, they began to phase in the changes, offering to help subsidize employee efforts to quit smoking. In 2011, they began offering $50 monthly insurance discounts to employees that agreed that neither they or their families would use tobacco products. Ultimately, they gently introduced their tobacco-free policy, without alienating employees or leaving them struggling with an addiction. So, not only is the negative approach potentially less effective when it comes to improving employee health, but employees aren’t fans of it either. It’s better to motivate by offering perks for good behavior, rather than punishing ones that aren’t as healthy. For example, here at Palo Alto Software, the more often employees use their gym membership at our local athletic club (which we have access to at a discounted rate to begin with), the less an employee has to pay for their membership. So, the more we go, the less we pay—rewarding participation, rather than punishing nonparticipation. Clearly, the “stick method” isn’t working. Employees hate it, and punishing employees for poor health habits is less than effective. But, that’s not the only reason that these penalizing wellness programs aren’t that great. While it may seem like it’s saving you money, the reality is that many of these types of wellness programs are simply shifting the cost from the employer to the employee. Wait—hang on. That doesn’t seem fair, does it? Under the Affordable Care Act, employers can charge penalties for health-contingent wellness programs up to 30 percent of the total cost of an employee’s premium. That means that in some cases, employees can be charged for things like smoking or having a higher body mass index. So, while charging certain employees more is legal (in the case of smokers, up to 50 percent more than the price of the premium), your employees may view this as unnecessary, unethical, and in some cases discriminatory. Just because you can, doesn’t mean you should—especially if you want employees to love your wellness program and stay with your company. Losing weight is a common goal. So, it makes sense that employers would want to help motivate their employees to get to or maintain a healthy weight. However, while the goal of increasing employee health and quality of life through weight loss programs is well-intentioned, workplace weight loss initiatives have been proven wildly ineffective. You read that right—no program. Not one. I don’t know about you, but that’s the most final word I’ve heard on a topic in a while. Not only are they generally ineffective, but weight loss based wellness programs have seen backlash as they penalize employees who do not (or in some cases cannot) meet weight requirements; not only that, in some instances, they actually end up encouraging unhealthy weight loss practices. That’s pretty much the opposite of the goal of a wellness program, don’t you think? Additionally, there’s an argument that the over-reliance of wellness programs on employees’ BMI is misguided, as some say that the BMI may not be the best indicator of overall health. Wellness is so much more than just the physical. Unfortunately, many wellness programs seem focused on physical health alone. Mental health challenges, like depression and stress have huge effects on the overall wellness of employees, and can hurt productivity and employee output as well, costing a business money. Workplaces that encourage wellbeing beyond the physical, and also consider social, emotional, financial, and community wellbeing have fewer sick days and are more likely to keep employees at their current jobs. For example, some businesses have found that offering a service such as a nondenominational chaplain has improved employee well being outside of the physical. Stress-management should also be a wellness program consideration, as The Society for Human Resource Management notes that stress is responsible for absenteeism in over half of the 550 million working days lost annually in the U.S. Consider offering your employees access to relaxation tools, such as meditation or yoga classes—maybe partner with a local studio, or bring in a yoga instructor for weekly lunchtime yoga sessions in the office. Include well-rounded access to mental health services, should your employees be suffering from emotional upheaval, stress, or a mental illness such as depression. Think of your wellness program like planting your garden in the spring. You get the soil ready. You plant your seeds. The next morning, you run outside, eager to check on your garden and—nothing. Not a single bud has sprouted magically overnight. You swear the whole thing is a bust, that gardening is a scam, and decide to scrap the whole project. Right? No, of course not—that’s not how gardening works (or, you know, business—or anything else worth doing). It requires patience. You can’t expect overnight results. The same can be said for your wellness program. At the end of the day, wellness programs are really only truly effective when they are looked at over the long term. This means it may take a business years to really see a return on investment from their wellness initiatives. In the case of the Anderson Cancer Center, after six years their lost work days declined by 80 percent, and their calculated cost savings totaled 1.5 million. Johnson & Johnson has been the poster-child company for successful wellness programs, with a wellness credit program, first instituted in 1995, that has a participation rate of 90 percent of employees out of the 31,000 employed in the United States. However, what do these examples have in common? Time—and lots of it. In the case of Johnson & Johnson, 20 years have passed since they began offering $500 dollar credits toward the annual premiums of employees who completed a health assessment. The return on investment for wellness programs doesn’t happen overnight, either in savings or in improved employee health and quality of life. Change takes time; accept that if you plan on instituting an employee wellness program, it will not bring you huge savings all at once. Why do you want to institute a wellness program? Why do you want to start one in the first place? Before you institute a wellness program or revise your current offerings, sit down and answer this question, honestly. Is your main goal to save money? Or, do you want to improve the health of your employees, and create a company culture that values healthy habits and employee wellbeing? If you answered the latter, you may be more successful in the long run. After all, cost-savings are debatable, depending on how well the program is structured, and these savings can take years to pay out. Wellness programs are the opposite of a quick fix to money troubles. However, if having less stressed, healthier, and more engaged employees and a shared company culture that values well-being is of importance to you, a wellness program may be a good fit for your business and prove successful. An office of happy, healthy employees is a beautiful thing—and a great wellness program can create just that. Just be patient—wait for those little plants to grow. This article was first published in October 2015 and updated in June 2018.